Special mountain biking clothing allows bikers to perform at top efficiency in fast-paced downhill races and extensive, open terrain bike tours. Mountain bikers will choose different kinds of MTB clothing, protectors, MTB shoes and equipment depending on the event. Good breathability and freedom of movement are indispensable for all cycling events. High-quality, robust materials and excellent workmanship are indispensable for mountain bike clothing. The extensive selection of cycling wear from a wide range of companies such as Maloja, ION, IXS, Endura or GORE Wear gives every cyclist enough choice to allow him or her to find clothing that is not only of excellent quality, but also suits their own personal tastes. Unlike the aerodynamically designed road bike clothing, MTB clothing is generally more loosely cut. Cycling trousers with integrated seat padding are available as both skin-tight variants and baggy shorts for mountain bikers. The special padding effectively absorb the shocks from the mountain bike that would otherwise be transferred to the cyclist. What is more, the padding helps prevent painful chafing on long tours. For fast paced, rough terrain courses, the outer material should be robust and long-lasting. Especially for downhill events and in bike parks, high-quality MTB clothing should be robust enough to survive some contact with the ground. An efficient protection against wind and weather is especially important on longer cycling tours. This is why mountain bike trousers and MTB jackets are generally made out of windproof and waterproof or water-repellent materials. The are specially designed and cut for the needs of the cyclist. Low weight, compact packed dimensions and easy care are further crucial criteria when choosing the perfect MTB clothing. Mountain bikers should not underestimated the importance of adequate ventilation and good breathability. Essentially, the goal is to perspire less through good ventilation and wear a mountain bike jersey which dries faster though effective wicking. Perfect cycling shoes and effective MTB protectors. Above all, MTB shoes should be robust and stable. Yet, they shouldn't have too much weight either. Depending on the event, mountain bikers use either flat pedals or click pedals. Naturally, the cycling shoes should be chosen accordingly. On flat pedals, high-quality soles are indispensable. The shoes have to guarantee reliable control of the bike - on jumps, fast trails and high-velocity downhill courses on Downhill or enduro bikes. When using clip-ins, choosing the right shoe/pedal combination is an important consideration for MTB shoes. The cycling shoes, cleats and pedals need to be perfectly matched. Nowadays, bike helmets are an indispensable part of mountain biking equipment. Back protectors are also popular with many cyclists, protecting the spine from injury. Knee protection and elbow guards are obligatory in most bike parks. A complete set of protective equipment is just as indispensable for downhill biking. Specialist full-face helmets and MTB eyewear complete the protectors. The choice of protector also influences the choice of mountain bike wear. 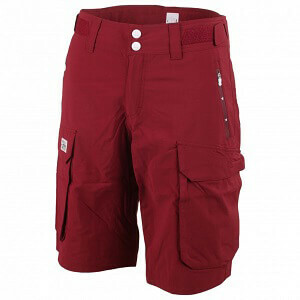 Baggy shorts and wide downhill shirts are easy to slip on over the bulkier protectors. 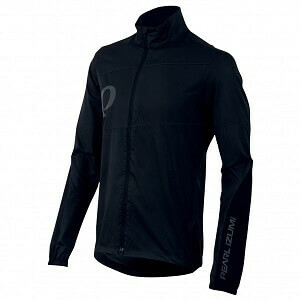 Cycling clothing for touring or freeride, however, is generally more skin-tight. Depending on the event and style, mountain bikers have a wide range of cycling wear available to them to maximise their biking experience - and fun!